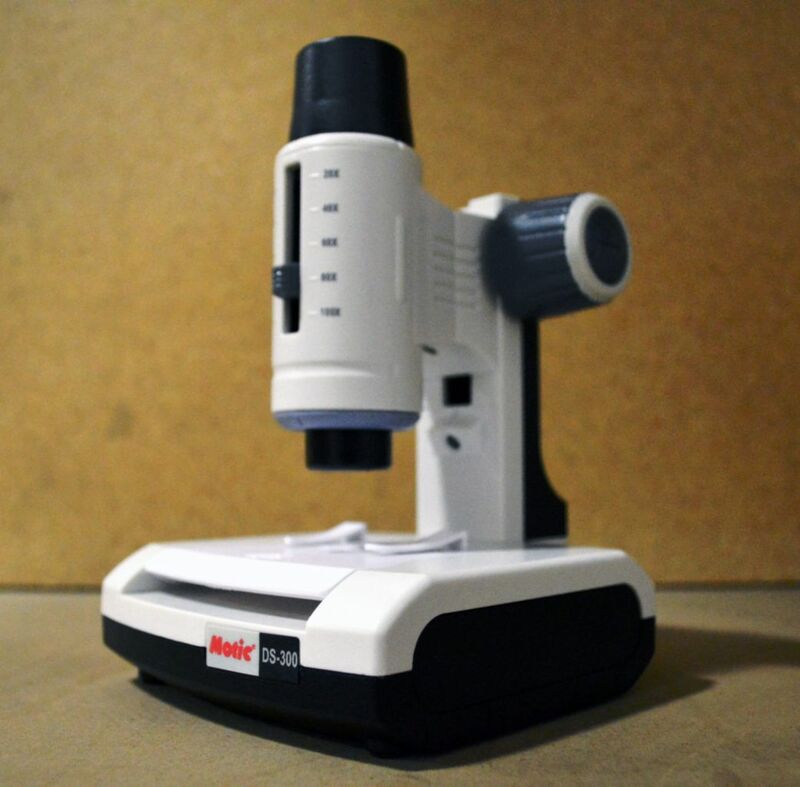 This digital microscope is great for grades K-8! I has a 640x480 pixel live image camera and comes with Motic play and educator software. It's compatible with Windows 2000, XP, Vista, and Mas OSX (Including Leopard). It has two stages for slides, whole objects, or water samples and used cool LED illumination.